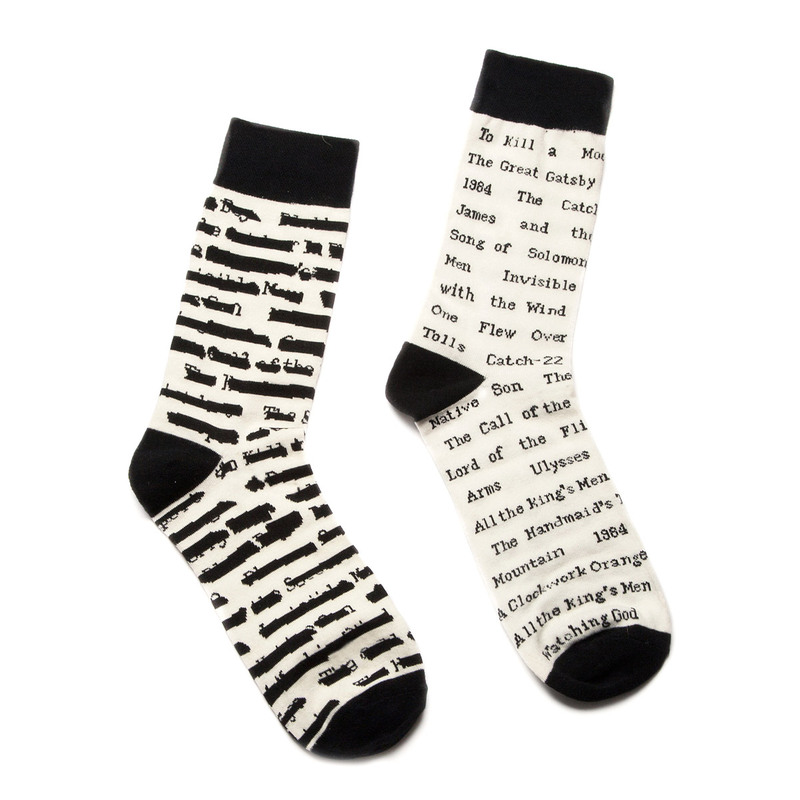 Just in time for some back to school shopping, these banned book socks come from Uncommon Goods. The sock on the right features names of books that were once banned. So many wonderful titles. The sock on the left has the titles crossed out to underscore the banning. 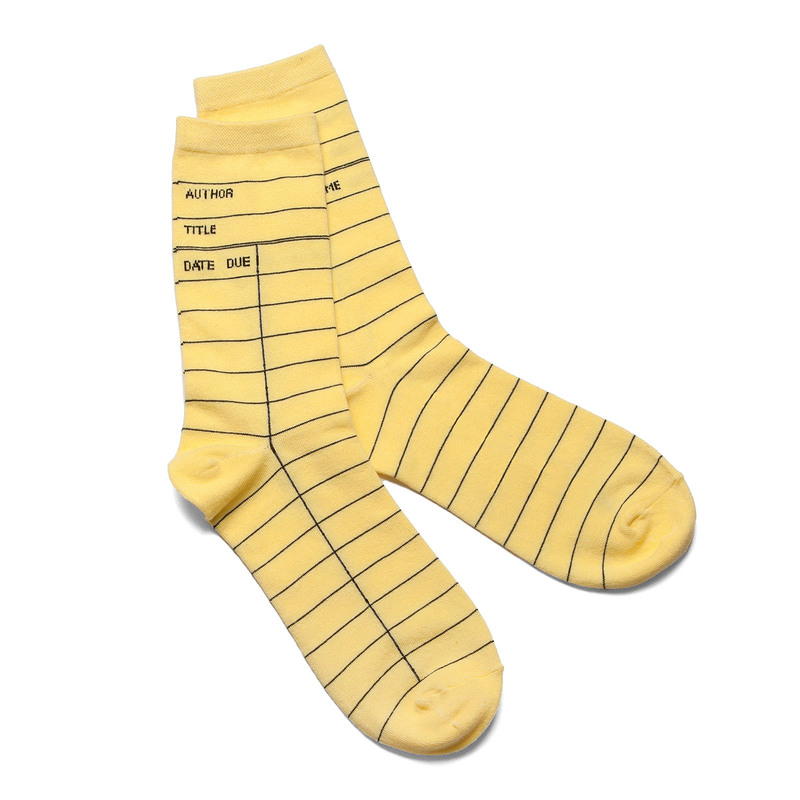 If you prefer matching socks, you might want to pick up these library card beauties. Over at SockSmith we have the Book Worm socks. 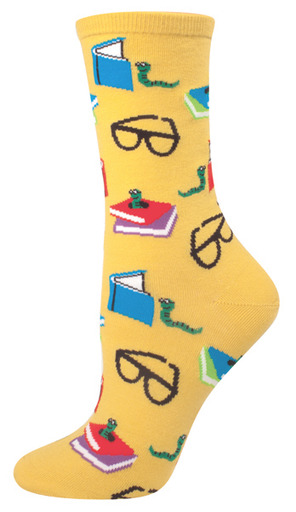 Or these bookish socks from Modcloth.